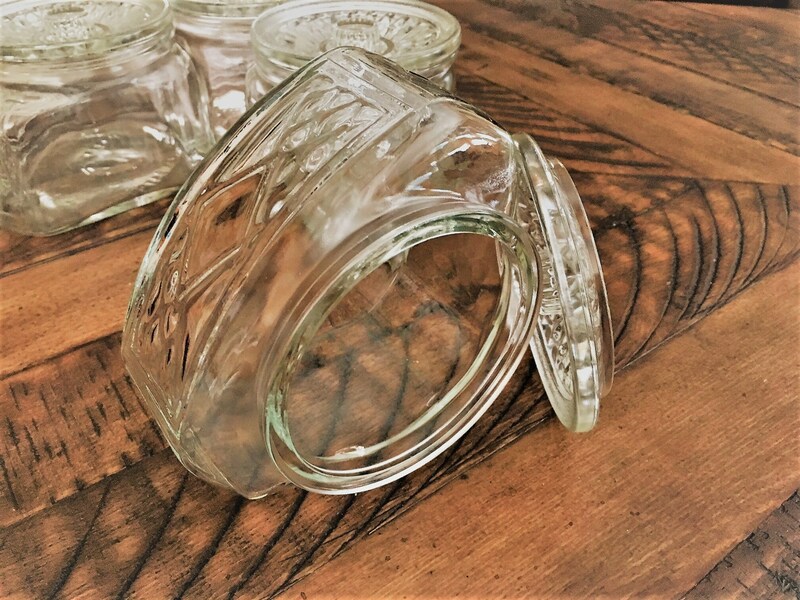 Featured is a wonderful set of clear glass kitchen storage jars. 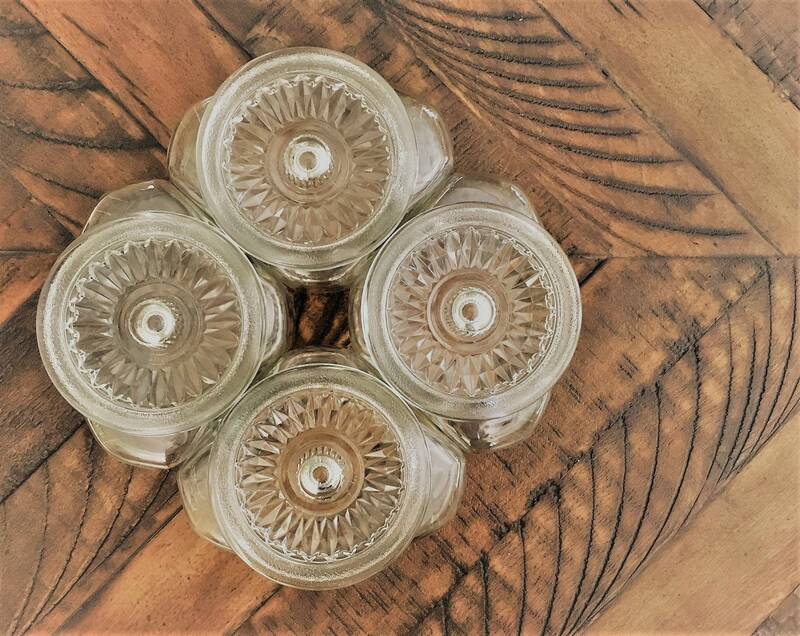 These four jars are Scurlock Kontanerettes which were popular in the 1930's and 40's. 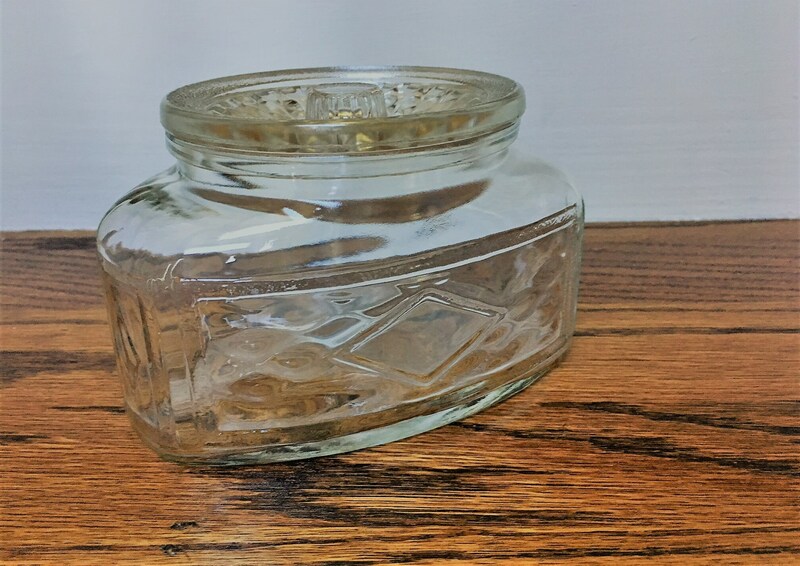 These provide many kitchen storage solutions and can be filled with teas, spices, or sundries. They can also be used to store leftovers in the refrigerator. 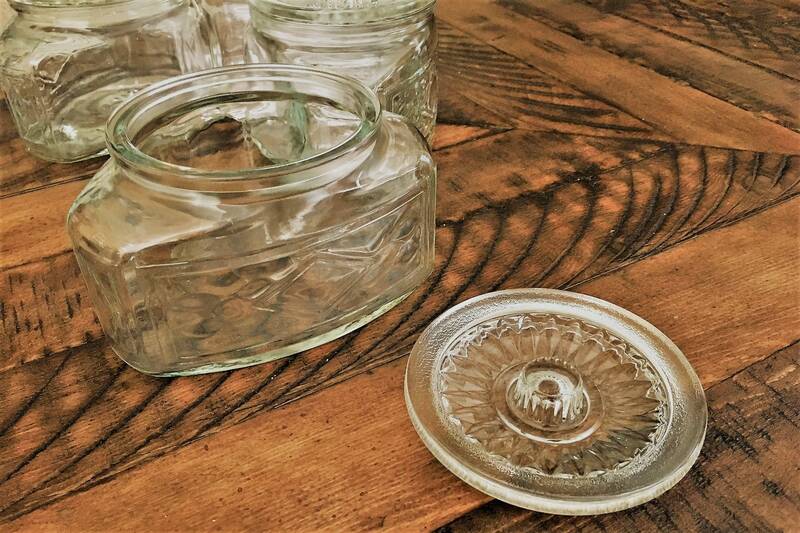 The four jars also fit together geometrically and could be placed atop a lazy Susan. They measure about 5 1/2 inches wide, about 4 inches deep, and 3 1/2 inches tall. The hole on top is about 4 inches in diameter. 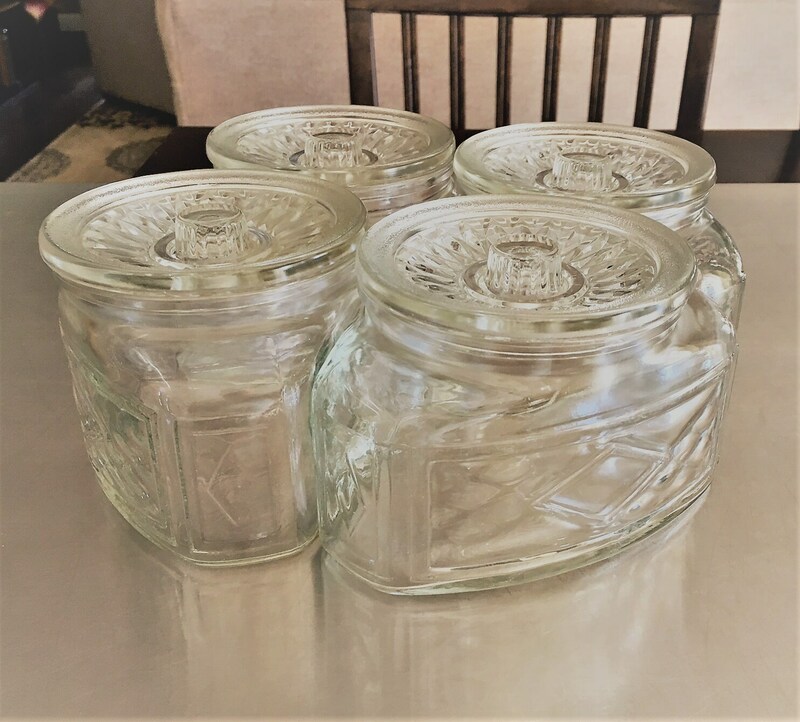 All four jar and their associated lids are in excellent condition, free from any chips or cracks. It's getting more and more difficult to find these early sets, especially in this condition. 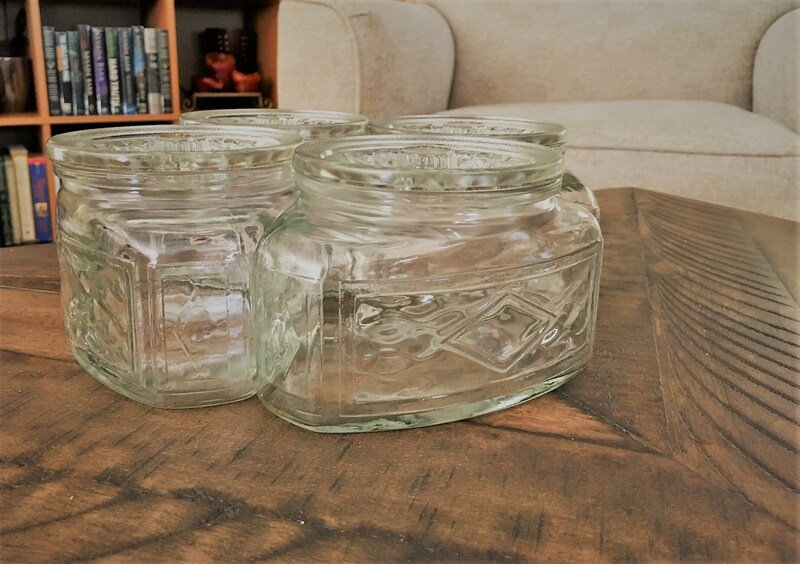 All four jars are being offered here for one low price.